While motorists arrested for DUI in Los Angeles frequently cause serious injuries to other drivers or pedestrians, they rarely do so with an intention to inflict harm. But a man driving under the influence in Las Vegas not only hit a close family member with his car—on purpose—but he also injured a man standing in his own home. No one knows what Jesus Mendoza Cabezas and his wife Gabriela Marin de Mendoza were arguing about on the evening of Monday, October 5th. But after the argument, Cabezas ended up behind the wheel of his Chevrolet Avalanche and de Mendoza headed across a crosswalk on the road. 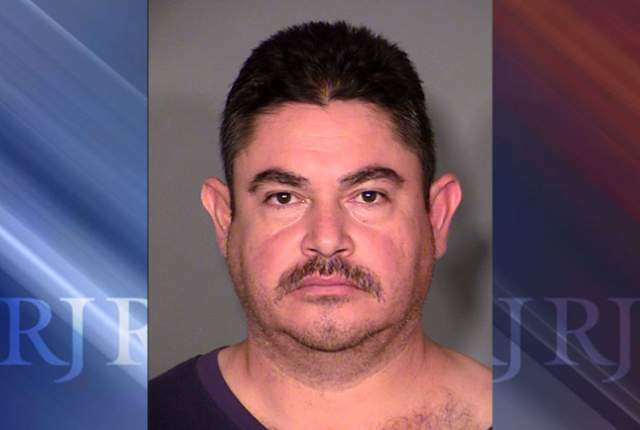 While driving away, Cabezas allegedly suddenly made a U-turn, gunned the engine, mowed down his spouse and then plowed into a fence of a nearby home. Her body flew into the yard of the home owned by Zach Hollis. But that didn’t stop Cabezas, and his vehicle kept going, crashing into Hollis’ home. The Avalanche missed the homeowner by only a foot. Hollis did suffer back injuries and required hospitalization. Cabezas, meanwhile, allegedly ran from the scene, but witnesses to the accident didn’t let him slip away. They brought him back to the scene and held him until police arrived. Emergency workers pronounced de Mendoza dead at the scene, but observers said Cabezas showed no sign of emotion at that pronouncement. The couple’s six children, left without a mother, will likely have to do without their father for many years as well. Police charged Cabezas with DUI, driving without a license and failing to maintain his traffic lane; he will also have to answer an outstanding warrant for DUI and other traffic violations. Press reports said police also expect to charge him with murder with a deadly weapon.